During WWI, Lily graduates from high school and becomes a nurse on the front lines in France. This all-female historical drama explores the role of women in WWI and how their service helped shape the early women’s movement in America and throughout the world. This new dramatization of C.S. 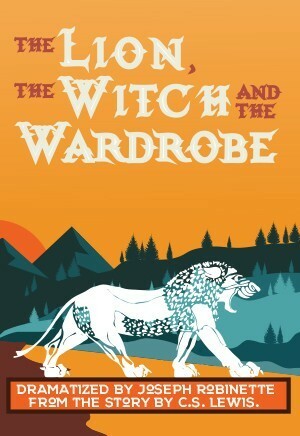 Lewis’ classic, set in the land of Narnia, faithfully recreates the magic and mystery of Aslan, the great lion, his struggle with the White Witch, and the adventures of four children who inadvertently wander from an old wardrobe into the exciting, never-to-be-forgotten Narnia. The intense action features chases, duels and escapes as the witch is determined to keep Narnia in her possession and to end the reign of Aslan. All the memorable episodes from the story are represented in this exciting dramatization: the temptation of Edmund by the witch, the slaying of the evil wolf by Peter, the witnessing of Aslan’s resurrection by Susan and Lucy, the crowing of the four new rulers of Narnia, and more. The supporting characters are also here: the unicorn, the centaur and other forest animals, along with Father Christmas, Mr. and Mrs. Beaver and Tumnus the Faun. This story of love, faith, courage and giving, with its triumph of good over evil, is a true celebration of life. 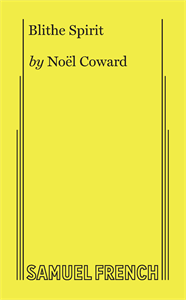 The smash comedy hit of the London and Broadway stages, this much-revived classic from the playwright of Private Lives offers up fussy, cantankerous novelist Charles Condomine, re-married but haunted (literally) by the ghost of his late first wife, the clever and insistent Elvira who is called up by a visiting “happy medium,” one Madame Arcati. As the (worldly and un-) personalities clash, Charles’ current wife, Ruth, is accidentally killed, “passes over,” joins Elvira, and the two “blithe spirits” haunt the hapless Charles into perpetuity. 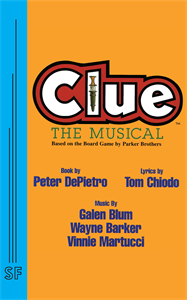 The internationally popular game is now a fun-filled musical that brings the world’s best-known suspects to life and invites the audience to help solve the mystery: who killed Mr. Boddy, in what room, and with what weapon. The audience receives forms to help them deduce the solution from clues given throughout the fun-filled evening. Three audience members choose from cards representing the potential murderers, weapons, and rooms; there are 216 possible solutions! Only one hard-nosed female detective is qualified to unravel the merry mayhem. Comic antics, witty lyrics, and a beguiling score carry the investigation from room to room. Even after the culprit confesses, a surprise twist delights the audience. 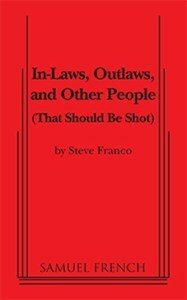 This colorful crowd-pleaser was devised by the authors of Murder at Rutherford House and other popular interactive entertainments.